General Motors' recall of more than 1 million full-size pickups and large SUVs for a steering malfunction – along with ones involving sausage and eggs – were the most notable product recalls of the week. 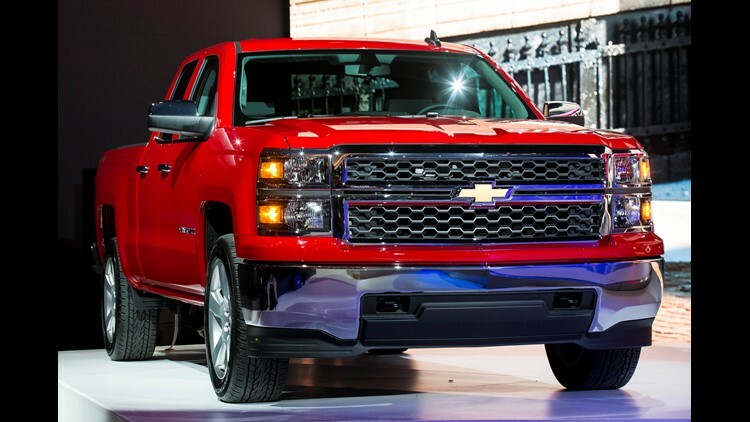 • GM: The automaker is recalling 1.02 million vehicles – certain 2015 Chevrolet Silverado 1500 and GMC 1500 pickups, as well as 2015 Chevy Tahoe, Chevy Suburban, GMC Yukon and Cadillac Escalade SUVs – for defects that may result in a temporary loss of electric power steering. The defect could cause drivers to "have difficulty steering the vehicle, especially at low speeds, increasing the risk of a crash," according to GM. GM said it had identified 30 crashes and two injuries but no deaths connected to the defect. The GM recall comes a week after Ford Motor recalled nearly 2 million pickup trucks to fix a seatbelt defect that could trigger vehicle fires. The New Albany, Ohio, company has recalled more than 46,700 pounds of pork sausage links for possible contamination with extraneous materials, including pieces of clear hard plastic. 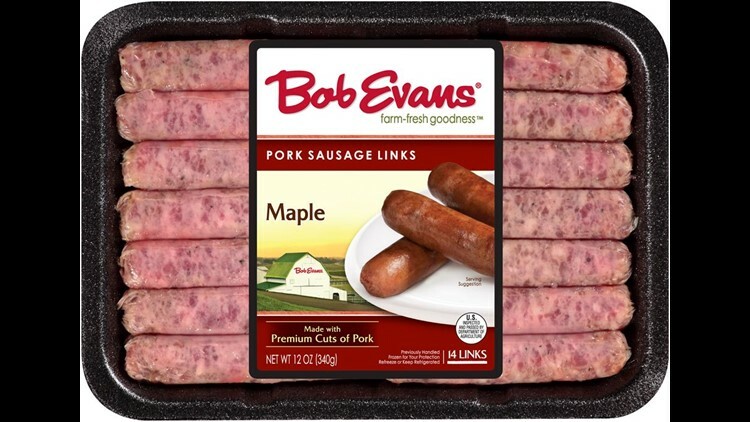 • Bob Evans Farms: The New Albany, Ohio, company has recalled more than 46,700 pounds of pork sausage links for possible contamination with extraneous materials, including pieces of clear hard plastic. Five brands of the sausage links, produced Aug. 1 at the company's Xenia, Ohio, plant, were recalled: Bob Evans Maple Pork Sausage Links ("use by" dates of Oct. 16 or Oct. 19), Bob Evans Brown Sugar & Honey (Oct. 16), Fresh From Meijer Maple Flavored Sausage Links (Sept. 6), Giant Eagle Maple Pork Breakfast Sausage Links Caramel (Sept. 10), and Schnucks Maple Recipe Breakfast Sausage (No "use by" date), according to the U.S. Department of Agriculture’s Food Safety and Inspection Service. The products were shipped to stores in Indiana, Illinois, Kentucky, Maryland, Michigan, Missouri, New Jersey, New York, North Carolina, Ohio, Pennsylvania, Virginia and Wisconsin, the USDA says. The CDC recalled Gravel Ridge Farms eggs in Alabama, Georgia and Tennessee. 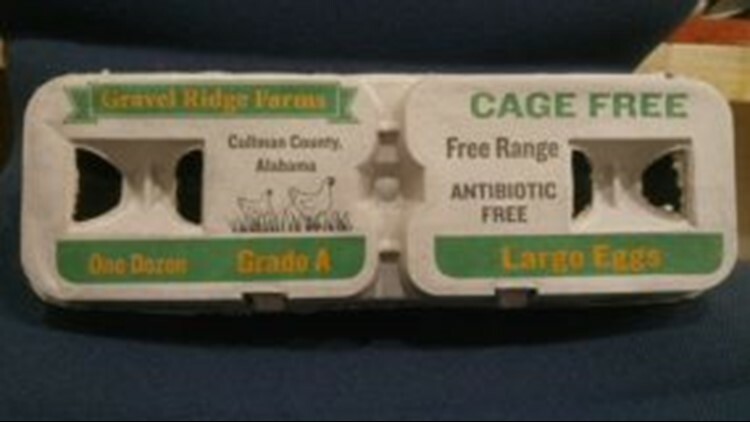 • Gravel Ridge Farm Eggs: The Cullman, Alabama, farm has recalled its Cage Free Grade A Large Eggs, in packages of one dozen and 2.5 dozen eggs, for possible salmonella contamination. The Centers for Disease Control and Prevention linked the eggs to a multistate salmonella outbreak. The recalled eggs, with "best if used by" dates of July 25, 2018, through Oct. 3, 2018, were sold in grocery stores and to restaurants in Alabama, Georgia and Tennessee. BioLyte Laboratories of Grand Rapids, Mich., is recalling its NeoRelief for Muscle Cramping and Restlessness Topical Gel products for possible microbial contamination. • BioLyte Laboratories. The Grand Rapids, Michigan, natural medicine maker is recalling its NeoRelief for Muscle Cramping and Restlessness Topical Gel products for possible microbial contamination. Some of the active ingredients in the product, sold in 2-ounce bottles and 4-milligram foil packs, are made by King Bio of Asheville, North Carolina, which two weeks ago recalled all its products for children, adults and pets that use water over concerns of possible purity issues.